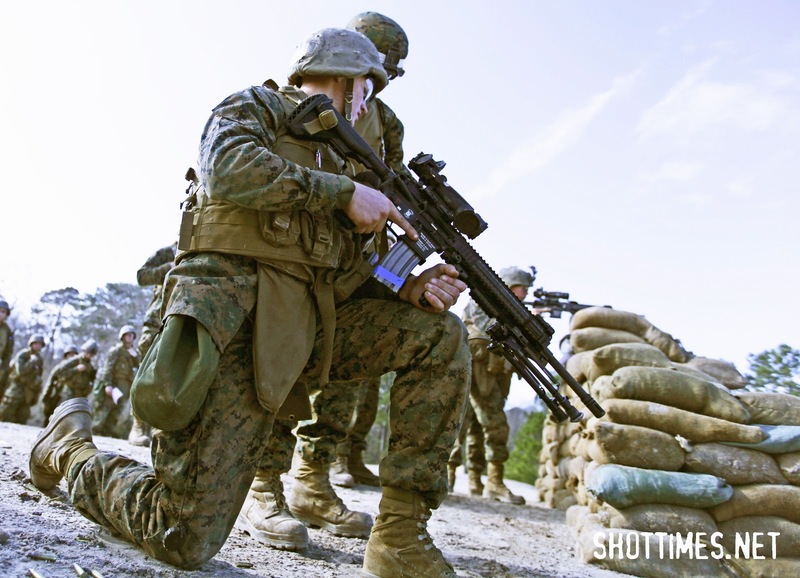 CAMP LEJEUNE, N.C. - The United States Marine Corps explored many options to replace the currently employed M249 Squad Automatic Weapon, and found an upgrade with the M27 Infantry Automatic Rifle. The IAR has been extensively tested by the Marine Corps since 2010. They examined the pros and cons of the rifle, and after confirming the benefits of issuing it, some battalions were recently outfitted with the weapon in Afghanistan. Infantry Training Battalion - East also implemented training with the weapon in the last few months. 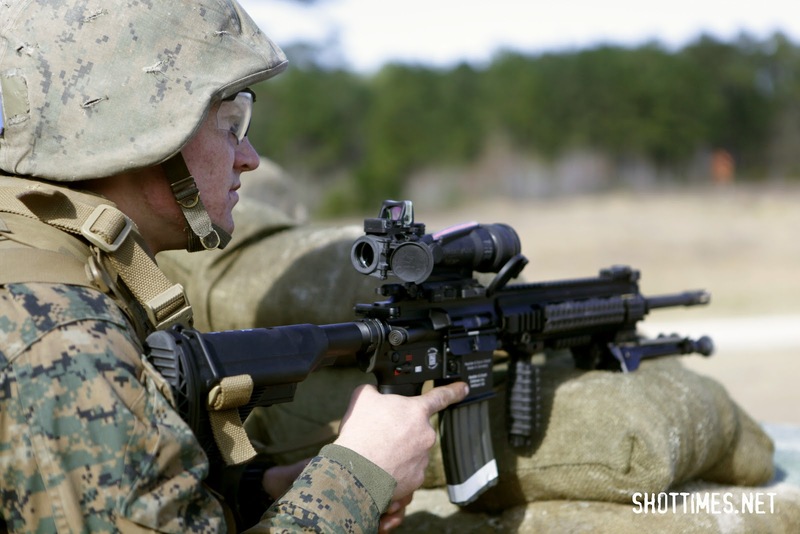 Company D’s basic riflemen, who will use the weapon most with their job responsibilities, familiarized themselves with the IAR Jan. 9 aboard Marine Corps Base Camp Lejeune. Switching from an approximately 17-pound light machine gun to an approximately 8-pound rifle will make moving with the weapon easier, since it weighs close to the same as a standard M16A4 rifle. The option to fire the IAR as a semi-automatic will give riflemen the ability to engage farther targets with more accuracy than firing on fully automatic does. The IAR uses a 30-round magazine, reloads and fires the same way an M16 does, but a big difference is the safety switch on both sides of the IAR. The M16 has a safety switch only on the left side of the rifle, beneficial only to right-handed shooters. The IAR also does not have a three-round burst option. Instead, Marines can switch between the semi-automatic and fully automatic rates of fire. Bare said the goal is to eventually replace SAWs within squads and fire teams with the IAR, but the SAW is still a useful weapon in certain situations and still has a purpose overseas.